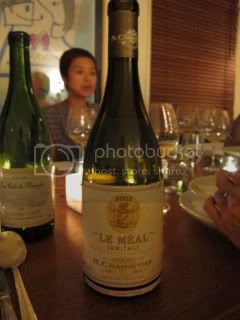 HAPPY DONABE LIFE - Mrs. Donabe's Rustic Japanese Kitchen: Wine dinner before the trip. 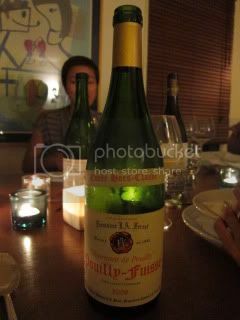 I got together with my “travel buddies” whom I go to Burgogne and Barolo with a few days before our trip at one of their house. Steve made such a wonderful 6-course dinner! 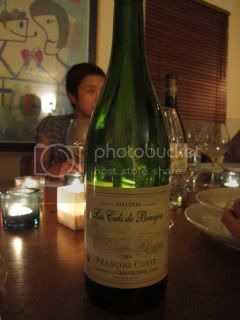 And, 5 of us enjoyed 6 bottles (they happened to be all French). 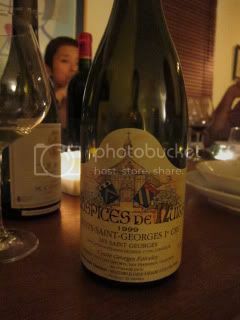 1999 Hospices de Nuits (Cuvee Georges Faiveley), Nuits-Saint-Georges 1er Cru, “Les Saint Georges” was nicely ready and it was like full-bloom flower.